These photos were taken on May 4, 2018 5:27 AM. The "Take It!" 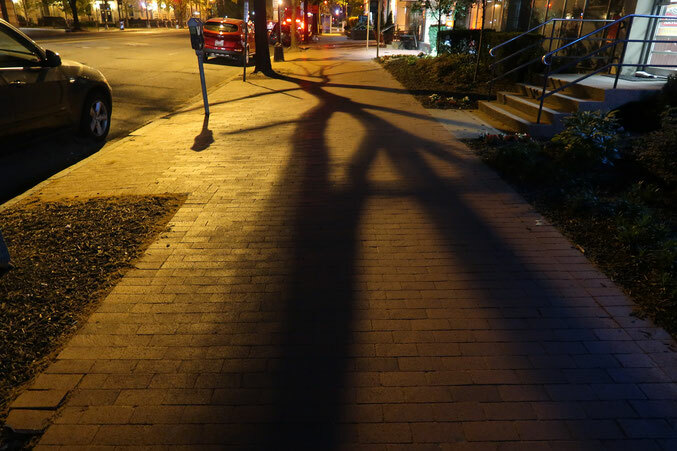 came from how vivid the shadows were being shown on the sidewalk from the back lighting of the street lights which had a yellow hue. 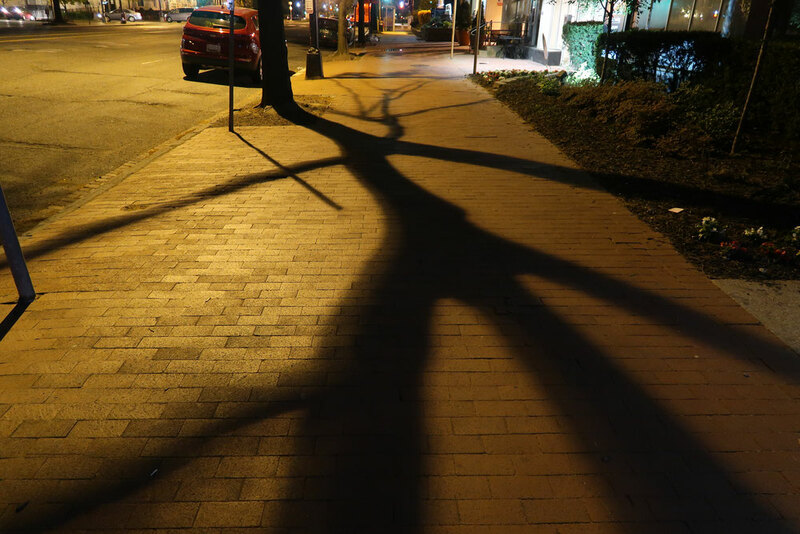 The way the shadows fell with the intersecting fringes which included sidewalk planters which held mature trees added to the intrigue of the view. The sidewalk being made of brick also lent interest and texture. The most interesting part of these two photos to me, is how they are of the same subject and how very different they show themselves to be. Time of day or night does not stop points of interest from jumping out and calling for me to take their picture. It is all great fun. Thank you for taking the time to have taken these few steps to make the difference. It looks like it just goes on forever. Must have been a huge tree. It has an ominous feel to it. I'm curious what some of the other shadows are from. The main one is clearly the tree but there looks to be something else in there too. Wow that must be a very well lit road. Its completely dark out yet the shadows are so dense.